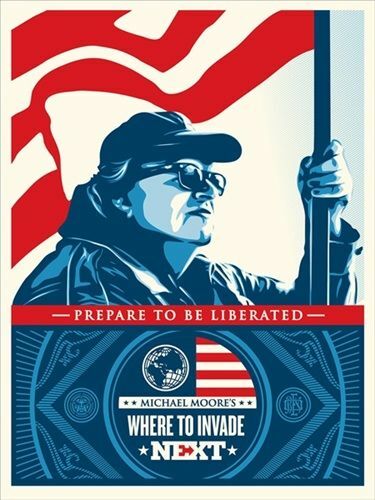 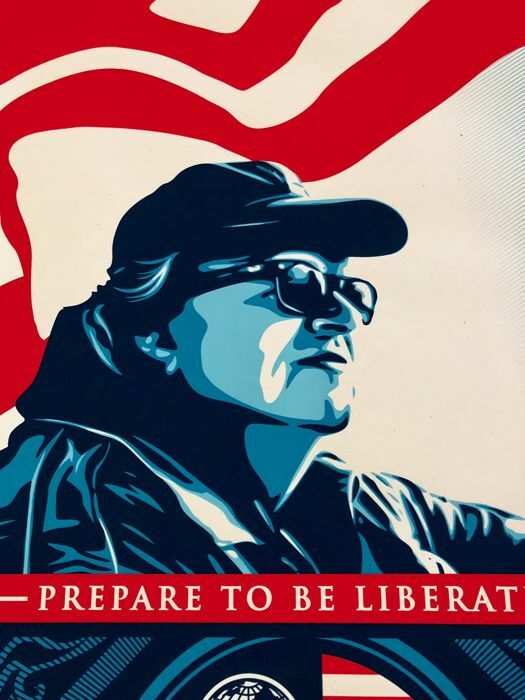 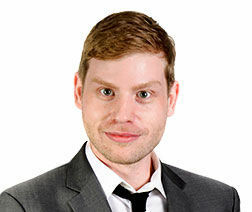 Michael Moore’s film, “Where To Invade Next,” released nationwide in 2016. 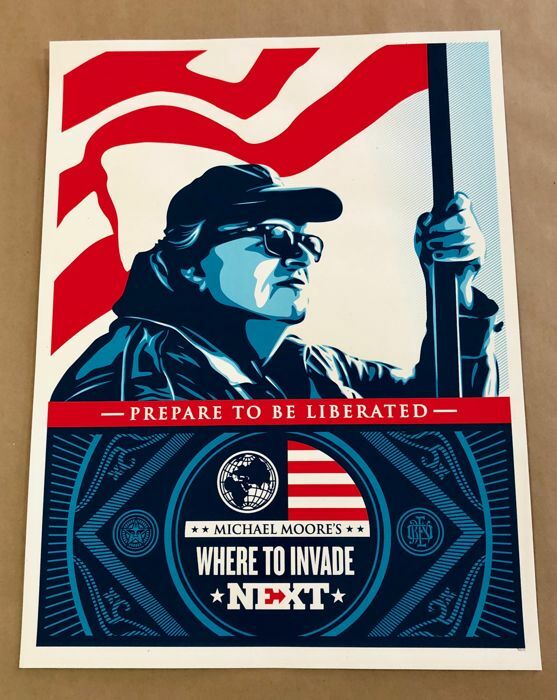 To coincide with the film, Shepard Fairey has created this screen print. 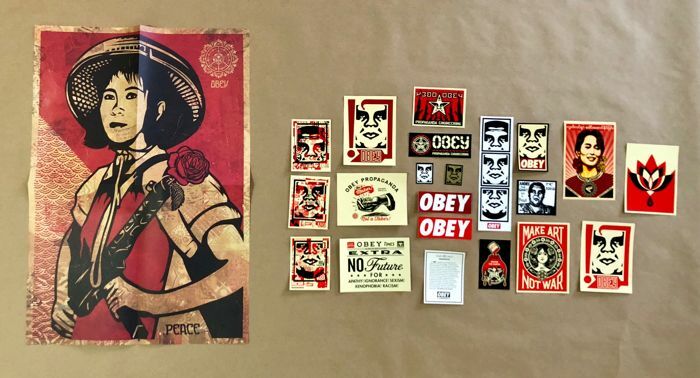 This lot comes with a 'Obey Giant' Shepard Fairey poster from 2015 and 20 stickers. 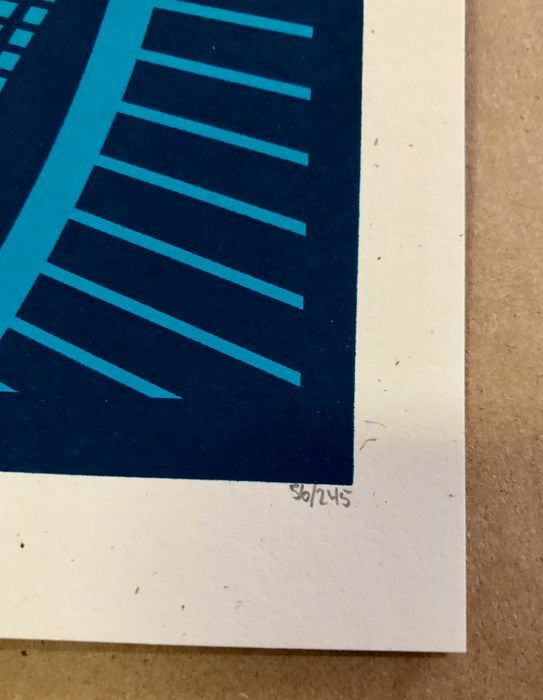 Look at pictures for details.